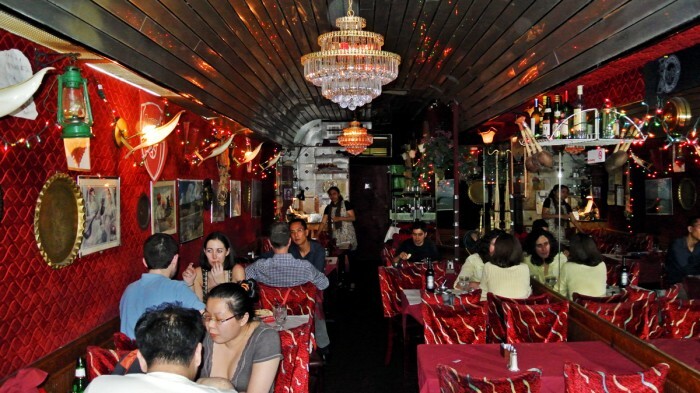 Have you ever wanted to eat Indian food in a velvet-walled subway car? No? The thought has never crossed your mind either? Well, I didn’t even know that was an possibility before I ate dinner at West Village’s Ghandi Cafe. This narrow hole-in-the-wall is a really strange place. It’s situated right off the corner of Bleeker and 6th Avenue and it would be all to easy to walk right past its dingy facade. I wasn’t kidding about the velvet walls either. It really does look like a dressed-up subway car with a zany mish-mash of decor accents like tulip-shared sconces, English Premiere League flags, chandeliers, mirror-paneled walls, and Christmas lights. Did I mention the place is spelled G-h-a-n-d-i? Guess Mahatma Gandhi must have been friends with the world trademark impresario or maybe I’m way off base and it’s just an alternate acceptable spelling. Or maybe it’s a reference to a Ghanaian soccer player that I’ve never heard of. I don’t know. But this place certainly has a lot of character, to say the least. One we were seated, we were automatically presented with a basket of Papadum and a trio of chutneys. I guess this is the equivalent of an Italian restaurant bringing out focaccia and olive oil to kick off a meal. 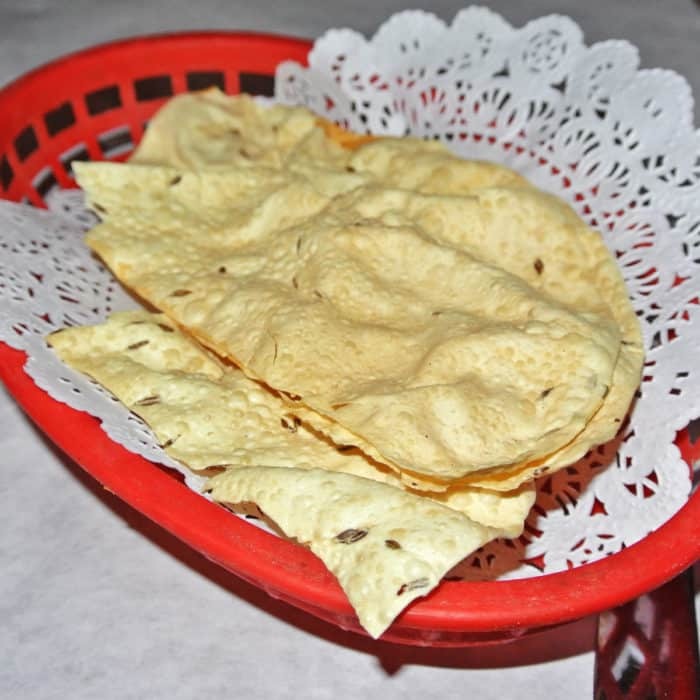 If you’re not familiar with the papadum, it’s a cracker-like Indian flatbread studded with rye seeds. All it takes is a little bit of the flavorful chutneys to make these crackly flatbreads sing. 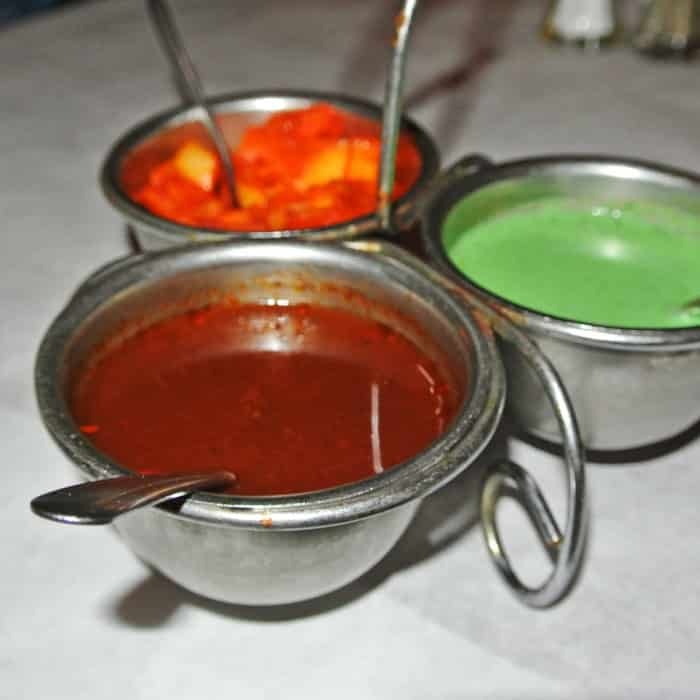 I particularly enjoyed the deceptively spicy green one. I approve of this simple starter. 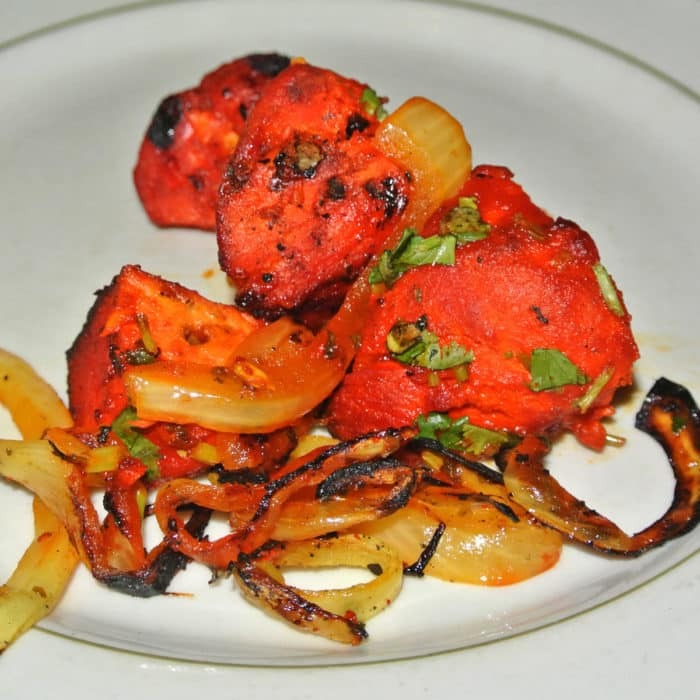 And then our main courses arrived, starting with the Chicken Tikka we ordered. I must be naïve or uninformed, but I always though Chicken Tikka and Chicken Tikka Masala were the same thing and that the terms could be used interchangeably. I guess not. I was expecting a thick, creamy, spicy, chicken-loaded, red curry but instead received skewered chicken meat and onions that I would usually refer to as Tandoori Chicken. I was befuddled, but not deterred and ate what was presented to me. It certainly had a nice red glow that permeated deep into the thick chunks of chicken, but unfortunately I found the meat to be pretty dry and light on flavor. The onions were great though. They were nicely grilled and had a distinct vinegar flavor that was both unexpected and delicious. So now I know and next time I’ll be sure to order the Chicken Tikka Masala if the curry is what I’m craving. On the other hand, the other entrée we ordered called Beef Malai was exactly what I was looking for. 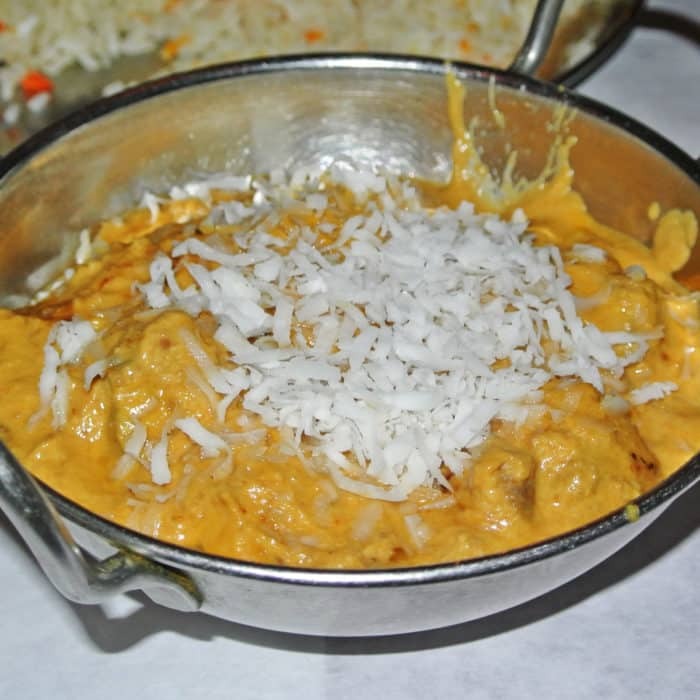 I wanted a thick, rich, flavorful curry and this coconut loaded one really hit the spot. It was loaded with a ton of tender beef hunks and that fragrant, coconutty curry was intoxicating. It came with a plate of rice which served its purpose well to soak up remaining the curry, but the naan we had ordered with it worked even better to get every last bit. 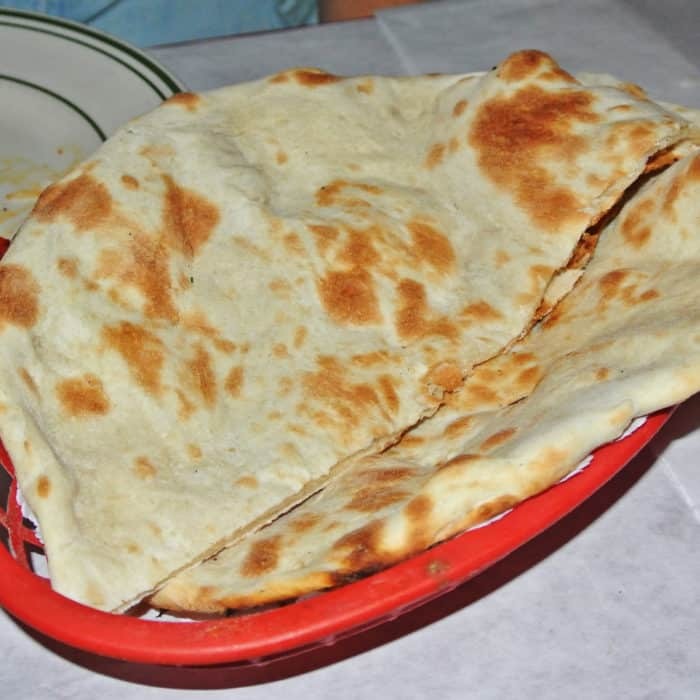 The Naan, a traditional Indian flatbread not too dissimilar to pita, was piping hot and came fresh out of the oven. This was actually some of the best naan I’ve ever had. It was steamy, chewy, stretchy, pliable, and flaky and worked wonders to swipe up that thick, creamy, coconut curry. I loaded up handfuls with rice, curry, and beef and also just dunked the bread directly into the curry by itself. Either way, it was phenomenal. There were definitely some standouts at Ghandi like the ridiculously good naan and very interesting beef malai curry, but I’ve also definitely had more exciting Indian food elsewhere in the city. Hell, even in this neighborhood. So, while we definitely enjoyed our meal, I think I’m much more likely to visit some of the other Indian joints in the area when the Indian food craving strikes again. 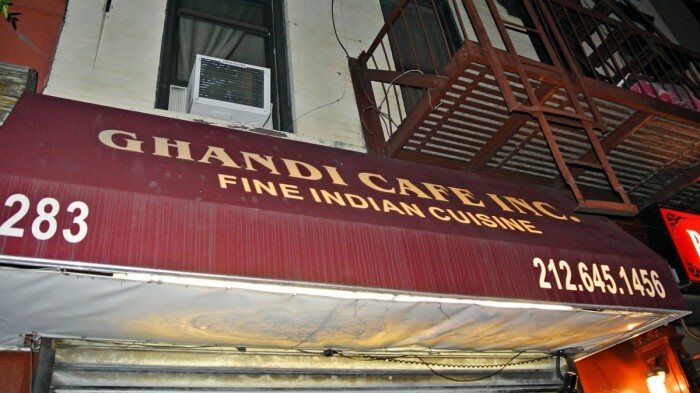 Got another great Indian spot in the village I should check out? Let me know in the comments below.